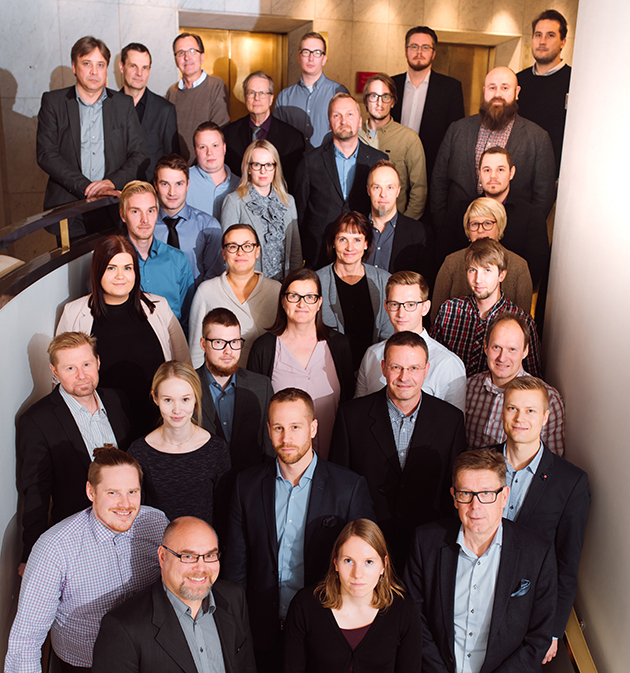 Our company’s roots are from 1972 and we are the largest engineering company in Finland which is specializing only in HVAC-design. Our office is located in Helsinki. We have 41 experts in this line of business. in Southern Finland are the City of Helsinki, the City of Espoo, the City of Vantaa, Nurmijärvi municipality, Citycon Oyj, KELA (The Social Insurance Institution of Finland), Senaatti-kiinteistöt (Senate-properties), Veikkaus Oy, Haaga Institute Foundation, CapMan Oyj (Dividum), Restel, University of Helsinki and HYY Kiinteistöt. We aim for customers for whom safety factors are important or even a critical and vital condition. Our range of know-how covers energy-efficient and safe data centres and sheltered premises during crises, which are our company’s peak know-how. “Finland has plenty of old command centres, tele- and shelter premises, which are possible to be modernized for data centre use. The structures in old shelter premises are generally in good condition and they naturally suit very well as safety spaces. With good HVAC-design they can be made modern“, says M.Sc. (Tech.) Markku Lilja, the head of the safety spaces and data centres unit where they produce design services for building developers. The control of indoor air quality is the most challenging task for schools and kindergartens. HVAC has to adjust to large variations in people and occupancy rate of premises. Generally the solution to this is segregation of larger entireties according to their functions to smaller spaces. In this way it is possible to easily adapt spaces for various purposes. “Our target is to create healthy and safe indoor air conditions for children and teachers. Good indoor air is a major environmental act conducive to learning“, highlights M.Sc. (Tech.) Henri Airaksinen, the head of the unit which produces design services for the Helsinki regions public sector. The old set-ups can’t often answer to users growing demands. Also heat loads from people and appliances and the tightening demands concerning energy efficiency sets up its own challenges in controlling indoor air. “The priority is good indoor air quality and healthy working conditions, combined with a comfortable working environment. Despite the issued demands of modern indoor air quality, the renewal of a HVAC system can also lead to savings. When energy efficiency is improving, running expenses are decreasing“, says HVAC-engineer Pasi Heiskanen. Pasi works as the head of the unit, which produces design services to the private sector property owners and builders. The key point to our design is safety. For our customers this means healthy and safe indoor conditions as well as a smooth and undisturbed continuity taking into consideration environmental and energy factors. It also means, that we care about the safety of our projects and also our own work safety. Our aim is to improve and develop our activity, operations, function, know-how and effectiveness in design continuously. Up-to-date RALA (The Construction Quality Association) -certified quality system covers all our company’s vital operations. With the help of our quality system we can measure customer satisfaction, personnel’s comfort and potential developmental targets. With annual auditing we guarantee, that the quality system is complied with and it is purposeful. We make sure, that our personnel is not only competent, skilled and reliable but they also enjoy their work and working together. One of our aims is to continuously train our personnel and offer them interesting and challenging projects. A central part of our quality system is to collect customer feedback. The purpose of the feedback is to receive immediate information on our success in our service and design work. You can give feedback for example on the know-how of our design, co-operation, service preparedness, keeping to time schedules, design work, change management skills, managing of building sites and supervision. All feedback sent by form will be received by our quality manager.